Today I want to share with with you one of my favorite digital layouts. 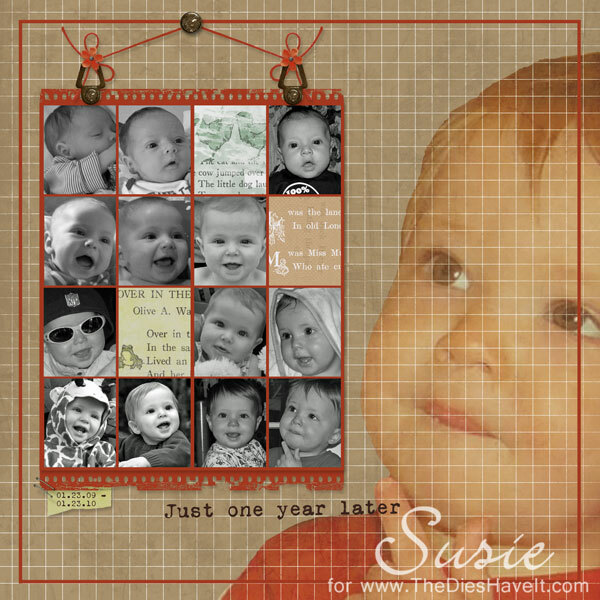 I grabbed a small picture from each of the first 12 months of Caleb's life to show the amazing changes he went through in just one year. And I love the picture that I blended into the background. It looks like he is pondering the changes too! I am typing with a recently broken finger....so I will be sure to run an extra spell-check. I'll still be creating while I heal....but I sure do miss using all my fingers! See you tomorrow with a sketch challenge and a sample.